Known for getting behind the wheel of anything with four wheels across the province, Mike Westwood has been hard at work in his shop this off-season. 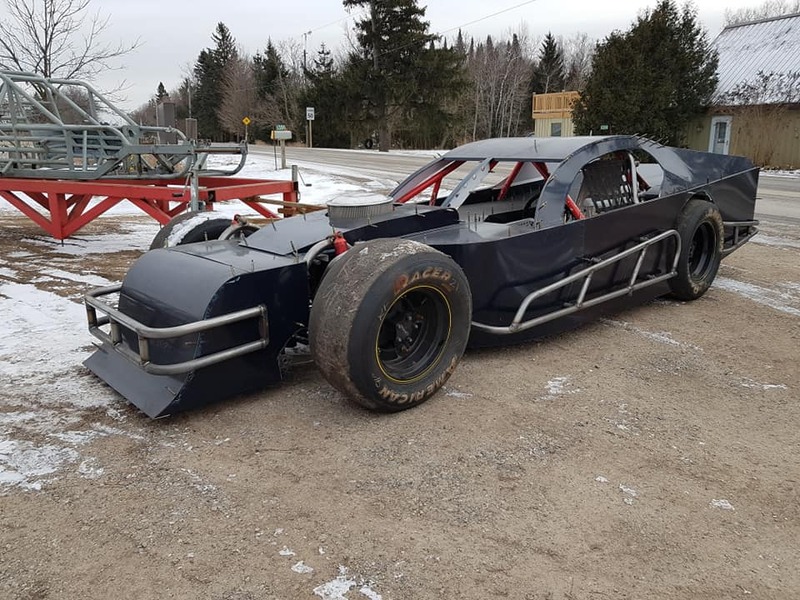 On top of preparing cars for other drivers, he has also built himself a new modified to run as part of the 2019 OSCAAR Modified tour. Westwood’s decision to return to the class just increase the building anticipation, given the early registration numbers that have been seen. Entering the year, he says that while he hopes to run in the top-five right out of the box, he is also looking to have a solid season all around. Whether he runs the full season or not, Westwood is certainly planning to make Jukasa Motor Speedway on June 1 one of the stops on his schedule. Though while remaining focused on his own program, Westwood also has an eye on the competition. Among the drivers he says to watch for 2019, Shawn Chenoweth tops the list with the purchase of a new car. For Westwood, racing is something that he’s been around since a very young age, with his entire family being involved in the sport. Through the years, there’s been several memorable moments, including some of the events that Westwood may not have visited victory lane himself. “For me, I just like the competition and competing,” he said. “To me, I like to win, but I like to race. Hopefully Westwood can add a couple more favorites to the list after this year.